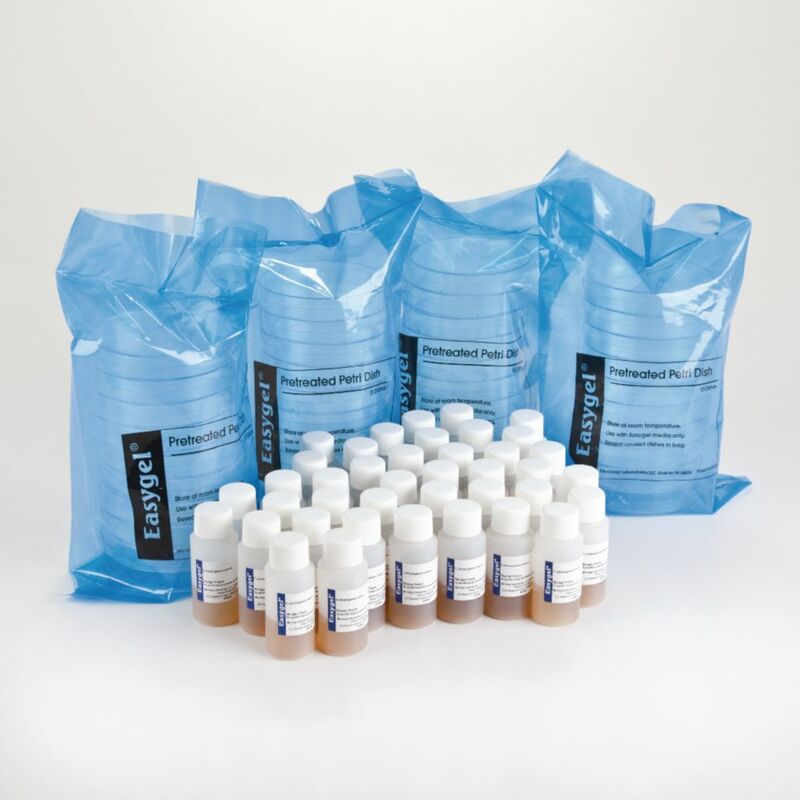 Coliscan Water Monitoring Kit features Easygel, an agar replacement. 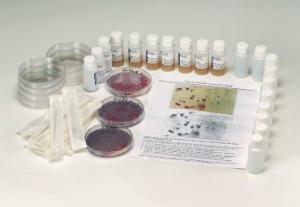 Each kit has materials for 10 tests. The kit includes Coliscan Easygel bottles, Easygel petri dishes, 30mL collection bottles, 1mL Droppers, instruction guide, and Coliscan Interpretation Guide.